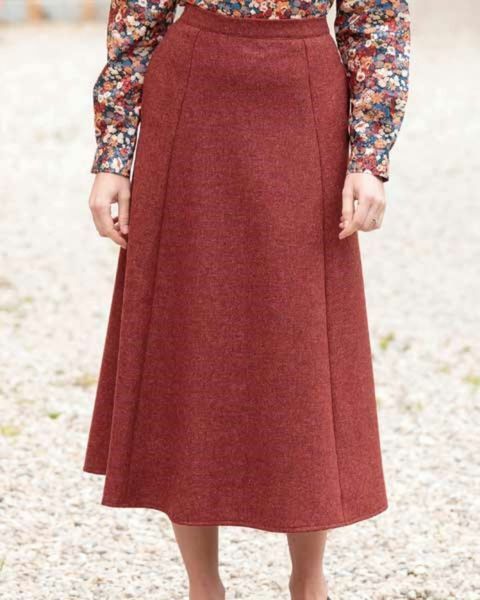 Ladies Pure Wool Tweed Skirt. Fully lined panelled ‘A’ line style. "Looks good but have not worn it yet "
Ladies fully lined panelled ‘A’ line style skirt with side seam pockets. Side back waist elastication for added comfort with a back zip and button fastening.Medium weight pure shetland wool woven for us in the UK. Autumnal shade of russet tweed. A lovely classic addition to any wardrobe.